Barron Park is unlike the rest of South Palo Alto, in that its Eichler homes have been so extensively modified, that it is hard to tell what the original floorplans may have looked like. 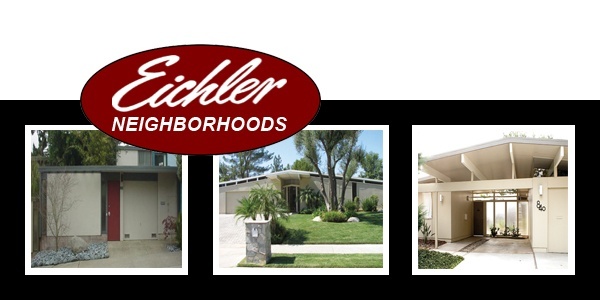 Barron Park has three Eichler home tracts,El Centro Gardens, University Gardens, and Maybell Gardens, which accounts for approximately 87 Eichler homes in this sub-division. 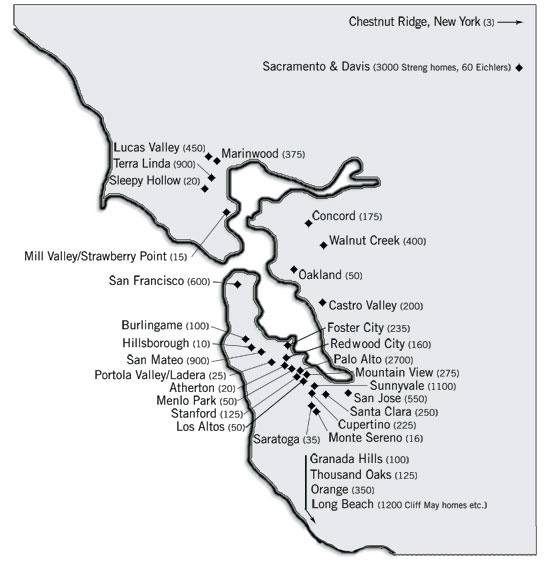 El Centro is made up of about 12 Eichler homes, with models consistently of the 3bed/1 bath, 1,068 sq. ft. variety. Constructed in 1950, the 50 Eichler homes that make up University Gardens come in two models. The smaller of the two models has a similar floor plan to the El Centro tract, with the larger model being a 3 bed/ 2bath 1,342 to 1,389 sq. ft. Finally, Maybell Gardens consists of about 25 Eichler homes built around 1952 of the 3bed/2 bath, 1,405 sq. ft. variety.